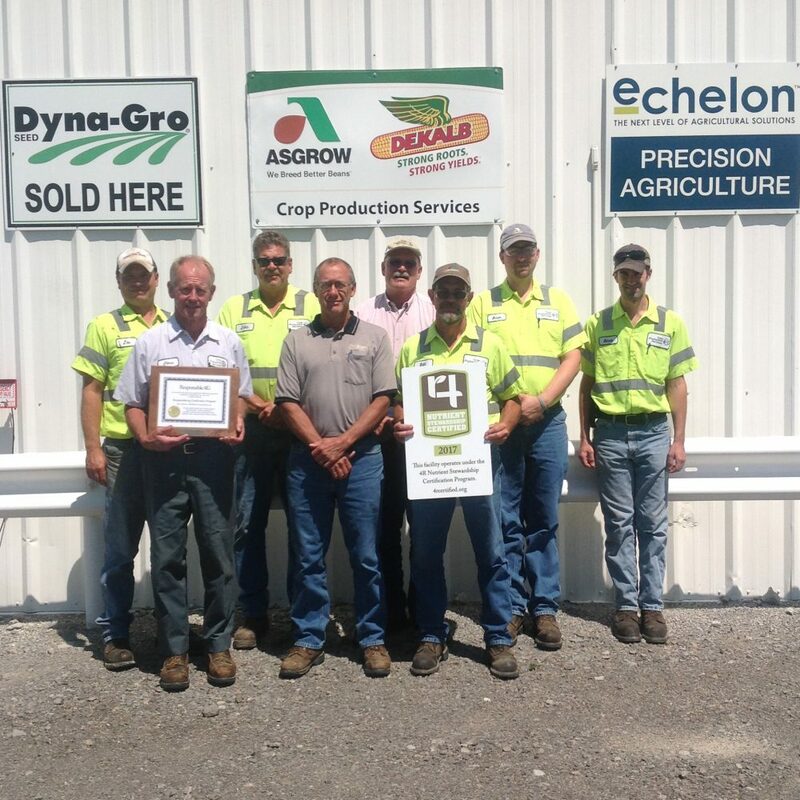 The 4R Nutrient Stewardship Certification Program has announced that the Crop Production Services Delphos facility has been added to its growing list of nutrient service providers to achieve certified status. The CPS Delphos facility has been in operation since 1963 and became part of the CPS family in 2006. Services include crop protection products, seed, fertilizer, soil and plant analysis, GPS base soil sampling, VRT application as well as abroad range of crop scouting and recommendations. The facility has nine full-time employees, as well as several part-time employees. The staff includes three Certified Crop Advisers. Approximately 2.8 million acres and nearly 6,000 grower customers are serviced by the 44 facilities in Ohio, Michigan and Indiana that have earned 4R Nutrient Stewardship Certification. “The Nutrient Stewardship Council is proud of the CPS Delphos facility’s efforts in earning certification in this voluntary program, ” said Carrie-Vollmer Sanders, Nutrient Stewardship Council chairwoman.